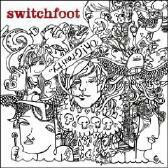 Switchfoot switch feet on this release. Their first two CDs were full of the ointment that heals all pain. This disc has them rocking much harder. They’ve stripped down their sound and aimed for the post-punk crowd. The first song, “Oh! Gravity,” sounds like an 80s throwback. I was impressed. I liked their first two releases. Each disc has about three hits so you don’t feel completely cheated when you buy the whole thing (but now you can buy only songs so the scraps are left on the floor). Switchfoot did an interesting prequel: they released an EP titled “Oh!” and it really gave fans a sneak peak at the new sound of the band. I actually caught a few songs from that EP so when this release was available I didn’t have to ask the spike-haired part-timer behind the counter if he had listened to it or not. Of course, they still satisfy Christian radio’s musical needs with hits like, “Awakening” and “Head Over Heels (In This Life).” A few tracks still fall under their indie sound and I’m sure that someone lost during rock, paper, scissors because those cuts sound so out of place on this disc. Switchfoot: Jon Foreman, Tim Foreman, Chad Butler, Jerome Fontamillas and Andrew Shirley. For more information, check out http://www.switchfoot.com or http://www.myspace.com/switchfoot. Chances are you’ve heard the song “Stars” and, as radio stations are apt to, they didn’t tell you the name of the artist because they want you to call them and request a song they’ll never play. Well, the band that performs "Stars" is Switchfoot and their first release (“The Beautiful Letdown”) was a softball compared to this guitar laden follow-up. 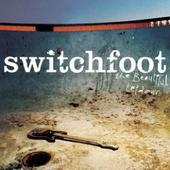 Molting from the image they portrayed on their breakout disc, Switchfoot shove their way onto the alternative stage. With a new member, Andrew Shirley, this band has added what alternative listeners really want, heavy guitars and keeping with Jonathan Foreman’s poetic thoughts, a polished sound and a confidence to appeal to both sides of the aisle. They still have an earthy sound but the crunch of melodic guitars just about squeezes that sound out. They don’t completely abandon everything that makes them Switchfoot, but their volume is quite a bit louder than before. Switchfoot: Jon Foreman, Tim Foreman , Chad Butler , Jerome Fontamillas and Andrew Shirley. 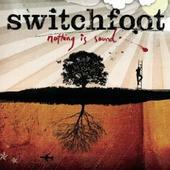 For more information, check out http://www.switchfoot.com/. Christian Music fans embraced Switchfoot like a long lost friend, mainly because they sounded like a coffee shop band that made it big. They helped pen four songs for Mandy Moore’s movie “A Walk To Remember” and those launched them into the street where they could get noticed, amp up their sound and get signed to a major label. Switchfoot will tell you that they are not a Christian band, although they started in the Christian market and are still sold in religious stores. They just don’t want to be boxed into one category. They haven’t turned their backs on fans from anywhere, however, so they try to appeal to both Christian and secular markets. Regardless, Switchfoot makes good music. They still have an indie pop sound, but when they turn their amps up they can rock as well as the next alternative band. I've listed the heaviest tracks below.